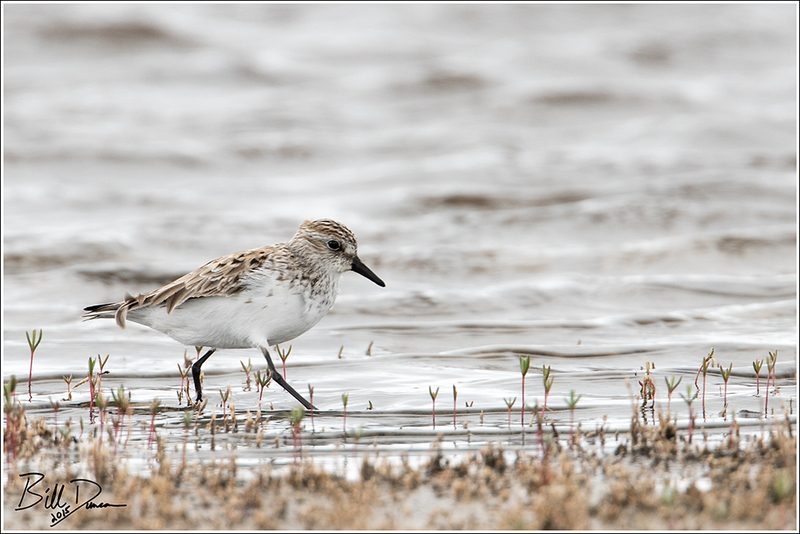 The Semipalmated Sandpiper is the “middle child” of the three trickiest of the peeps. 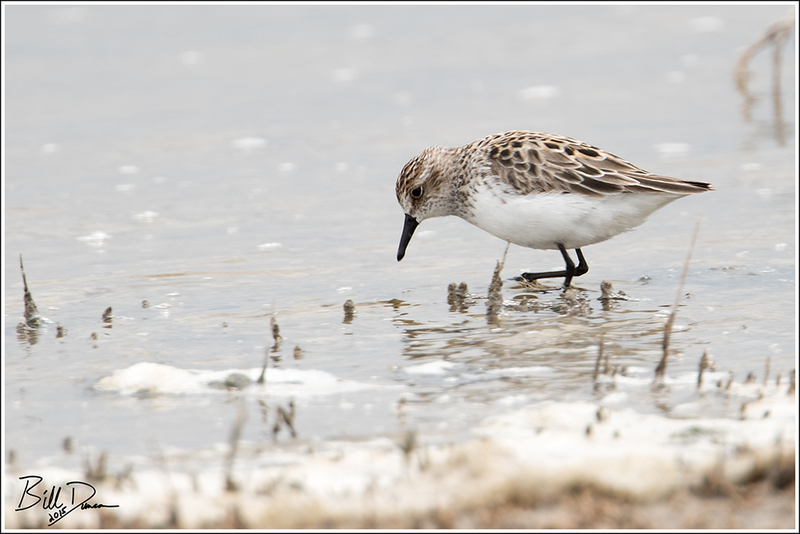 At certain times of the year, it can be downright difficult to distinguish the “Semi” from a Western, but under most conditions it should be relatively straight forward telling this bird apart from the Least Sandpiper. Minor differences between the Least and the Semi include the Semi being slightly larger, slightly grayer and containing more white on its breast. The primary differences, however, can be seen in the legs. The legs of the Semi are black and its toes are partially webbed, contrasting with the clean toes and yellow-green legs of the Least. The Semi is a long-haul migratory bird. These little ones winter throughout Central and South America and nest in the arctic and high arctic regions of North America. To reach these nesting grounds, these birds will fly nonstop for up to several thousands of miles, only stopping at important staging grounds such as the salt flats of Quivira.